Maryland is one of the smallest states in the United States, but it is home to an impressive range of diverse topography and natural beauty. Known as “America in Miniature,” Maryland is comprised of several very distinct regions, with low marshlands along the Chesapeake Bay, mountainous region to the west and forested hills of the northern Piedmont Plateau. The varied nature of the landscape makes it a natural draw for outdoor adventurers and explorers. The climate also varies greatly from season to season, with cold snowy winters and hot, humid summer. Summer activities include fishing, whitewater rafting and stand-up paddle boarding on the abundant Maryland waterways. The colder months are great for snowshoeing, skiing, ice-skating or enjoying a horse-drawn carriage ride through the pristine countryside. Sacred Shrines- Maryland is home to many beautiful and historic places of worship and holy places such as the John Paul II Shrine and the National Shrine of St. Elizabeth Ann Seton, the first American-born saint. The Ratner Museum– The second floor of this museum in Bethesda, Maryland hosts an impressive array of artwork based on Bible events and people. National Parks- Maryland has numerous beautiful national parks and monuments such as: Chesapeake and Ohio Canal National Park, Fort McHenry and Harper’s Ferry National Historical Park. Though not technically located in Maryland, a trip to the state capitol in Washington DC is always an exciting and educational experience. 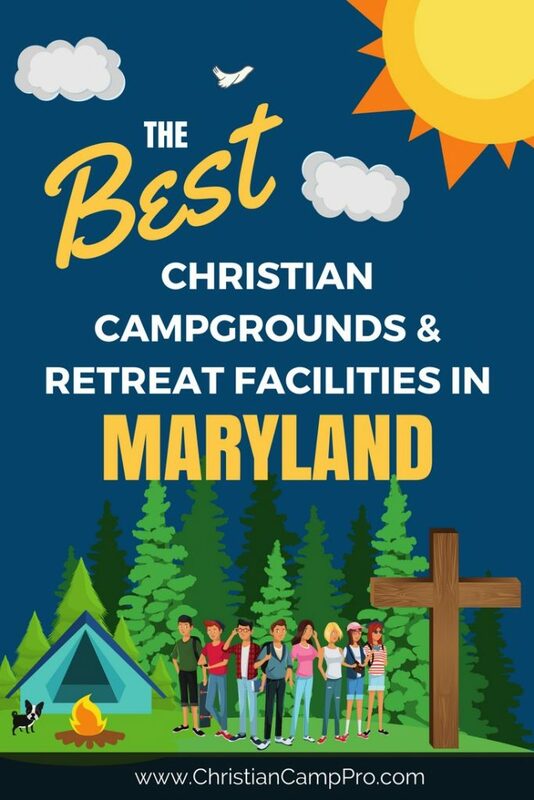 The state of Maryland is rich in history and natural beauty, making it a great place for adult retreats and youth camps. There are plenty of thrilling outdoor adventures to be had and a wide variety of places of historical significance to see. Maryland’s varied landscape and distinct seasons mean there will be no shortage of fun activities for groups to enjoy.